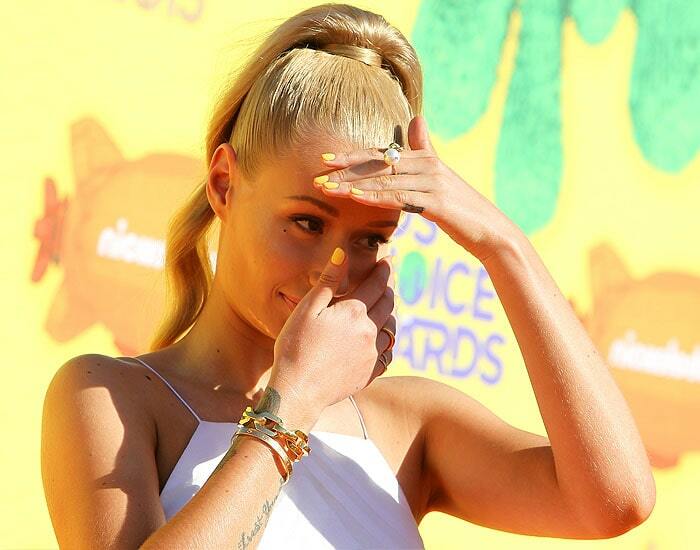 One could say that the 2015 Kids’ Choice Awards was all about Iggy Azalea. With three award nominations, a double performance with Jennifer Hudson of their song “Trouble”, and a dramatic orange carpet walk, Iggy managed to steal the show in more ways than one. The Australian rapper started things off on the right foot by arriving in a very springtime two-piece ensemble. She kept the skin-baring to a minimum for the kid-friendly event, and only showed a slice of midriff in a white halter crop top. Although her shimmery blue-and-silver ball skirt hid her shoes, it was undoubtedly the pièce de résistance of her outfit. Iggy topped her look with a high ponytail that highlighted both her high cheekbones and bare shoulders. 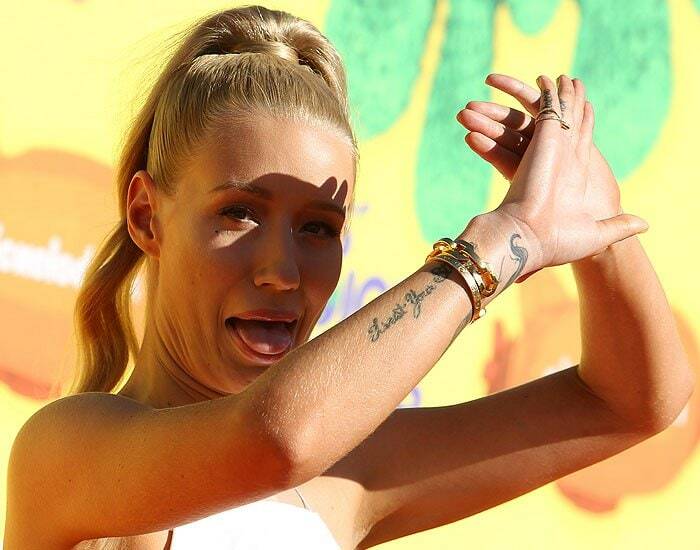 Like Kaley Cuoco, Iggy’s fresh style didn’t make her immune to the sun’s intense afternoon rays. Threatening to ruin the look that Iggy and her glam squad must’ve spent hours on, the blinding sun had the hip-hop star checking that her makeup hadn’t melted off her face yet. Iggy allowed herself a moment to show some disdain for the heat, but being the pro that she is, was quickly back to working the carpet and posing for the cameras. Interestingly, it wasn’t the intensely shining sun that ruined Iggy’s look, but the shoes that we couldn’t see. In our efforts to get a peek at Iggy’s feet, we discovered a pulled thread on her skirt’s hemline that she must’ve snagged on her shoes while walking the orange carpet. 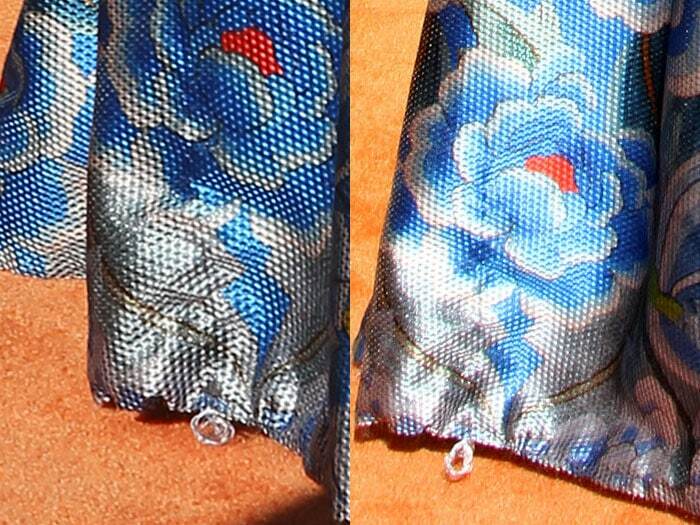 It’s a tiny detail, but we think it’s enough to say that the expensive designer skirt is ruined. 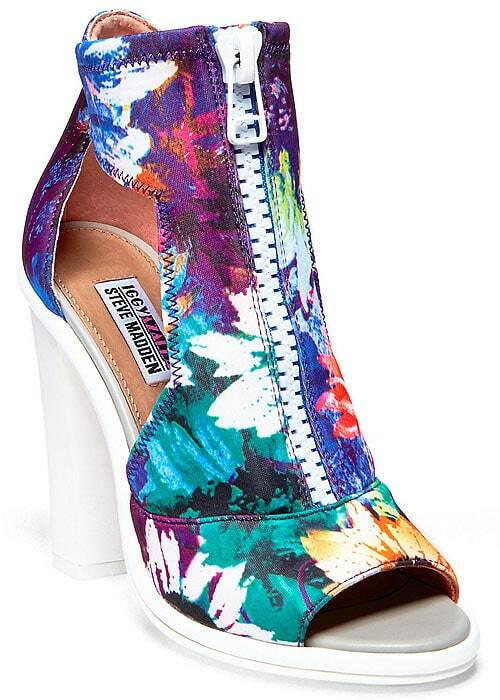 We wonder if the shoe-culprit is among the styles Iggy Azalea designed for Steve Madden? We could only see the white open toes of Iggy’ sandals in the pictures, so our guesses are the white-soled ones below. 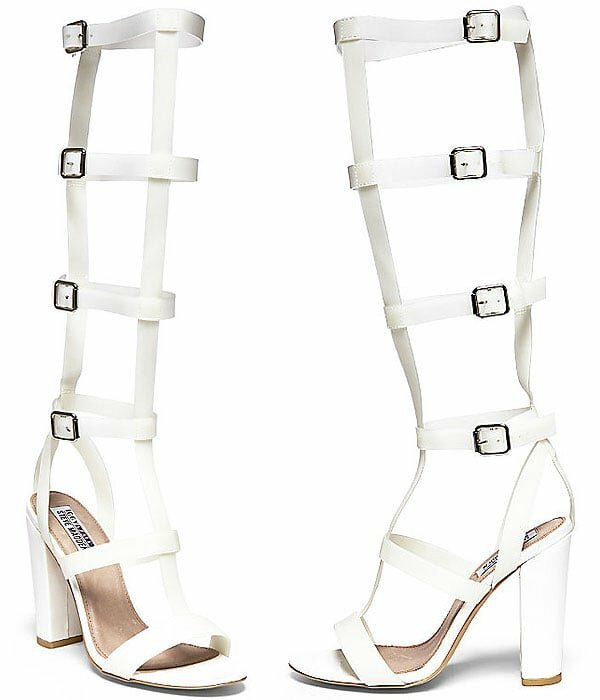 Shop the entire Steve Madden x Iggy Azalea collection here.